Need more information about booking Home 6311844 ? 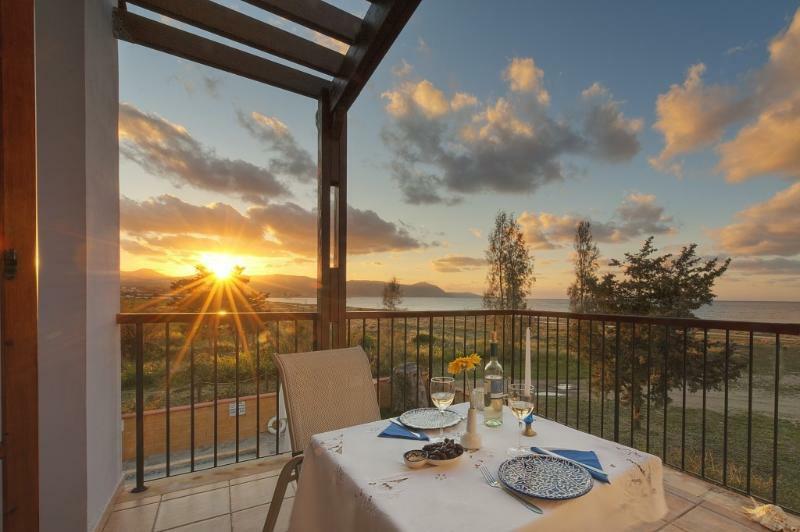 Latchi Beach Front Villas can be found right on the award winning blue flag beach in Latchi. The sandy beach is just 20 metres from the villas. This 3 bedroom fully equipped villa is front line to the beach with magnificent uninterrupted sea views. Each villa at Latchi Beach Front Villas has their own private swimming pool and are adjacent to the Latchi Public Beach which has been awarded the Environmental Blue Flag. This Villa has 3 bedrooms, 3 bathrooms and sleeps 7. It’s been listed on Holiday Lettings since 20 Mar 2015. Located in Paphos District, the average weekly rate varies from £1050 to £2100. The Manager has a response rate of 90% and the property’s calendar was last updated on 10 Apr 2019.